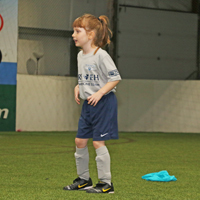 The Seacoast United Maine’s Emerging Talent Academy Program is an accelerated soccer developmental program that focuses on each player's technical ability. 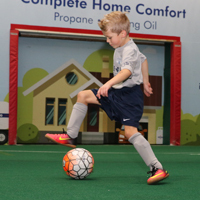 The Emerging Talent Academy prioritizes skill development while nurturing a love for playing in a fun, competitive, and age appropriate environment. 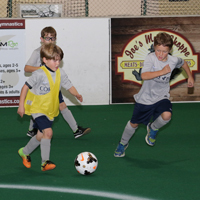 The Seacoast Emerging Talent Academy is a unique and special training program for 6-7 year old boys and girls. The goal of the program is to develop the player's comfotability on the ball, ability to control the ball, confidence with the ball at their feet, and individual development. Our coaching staff provides a professional approach to prepare young players for future play at a competitive level! The Emerging Talent Academy Coaching Staff for 2018/19 will include Seacoast United Maine full time and part time club coaches. Seacoast United (NH) offers the Emerging Talent Academy program at two other Maine locations: York & South Berwick. Click here for more information.